Posted by Jamie Friedland in Congress, Election, Media, Politics. In a classroom, if you present an argument, it is expected to be logically sound. If it’s not, you can expect to be called out for that. As a [relatively] recent college graduate, it has been disheartening to discover that those expectations do not extend to important places off-campus. Like our government. I now live in Washington, DC, the front-line of a polarized America. And from the floor of the Senate to the op-ed page of the Washington Post, I am disgusted by the deliberate mistruths and toxicity that have polluted the national dialogue. Name your issue, they’re there. 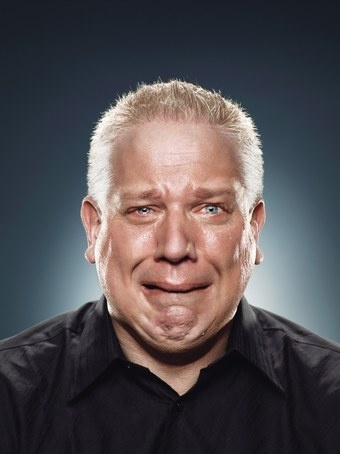 I have taken to watching Fox News at the gym; say what you will about Glenn Beck, but I have yet to find anything that keeps me as fired up – provided I can overcome the urge to assure passersby that I am not a Tea Partier. But if you actually watch the programs, it becomes clear that these talk shows are a cleverly wielded and dangerously effective political tool. Listening makes me want to run harder. Looking makes me want to keep running. It is true that MSNBC runs similarly structured programming and is guilty of some of the same partisan tactics. Both “news” organizations should clean up their acts. But MSNBC does not operate with Fox’s defiant shamelessness, and ideological opposition does not automatically confer equivalency. Many people I’ve talked to argue that Fox News is irrelevant because it yells into its own echo chamber and thus does not affect moderate, independent or undecided voters anyways. But even if I were to concede that premise, in the media’s current state, I have to disagree with the conclusion. Last year, I lamented Fox’s apparent victory as the mainstream media embraced “balance” as their primary value, unseating objective accuracy. Consider a linear spectrum from liberal to conservative. As long as balance trumps accuracy, whenever conservatives dive to the right, no matter how outrageous the claim, media outlets must move at least half as far in that direction to stay in the center. That taints everybody’s news. Instead of trying to perfectly straddle that mobile center, media outlets have increasingly drawn upon punditry; pair each comment from the left with a comment from the right and you have ostensibly achieved balance – at the expense of the truth. Case-in-point: CNN’s recent hiring of the despicable, foul-mouthed conservative blogger Erick Erickson. If the news is just a soapbox for politicos and outlets are afraid to call out disprovable lies, the system has collapsed. When the now infamous Rep. Joe Wilson (R-SC) interrupted President Obama, he didn’t yell, “I have statistical data that casts your theory into doubt!” A baseless claim, “you lie!” now suffices as a political riposte. And the solution to this behavior is not an equally extreme liberal demagogue like Rep. Alan Grayson (D-FL). Just tell the truth! The nastiness of our political discourse is unprecedented, but not inexplicable. Our two-party system has had this all-out combative capability since Jefferson and Adams. It has just been held in check by the media…until now. With its financial survival threatened, American journalism has sold out and compromised its ideals. Accusations of media partisanship have begun to stick partly because they’ve begun to be true. And with its objectivity in question, one of our government’s most important safeguards has failed: the loss of accountability is to blame for our current political climate. Politicians used to be restrained by unbiased fact-checking and investigative journalism. Trusted, objective news coverage once held extreme rhetoric in check. Today, American news outlets are either perversely partisan or utterly defanged. And when the referees are biased or silent, the game quickly turns violent. Knowing what we’ve lost is the first step towards replacing it. But I’m not sure how to take the second. Journalism didn’t fall from grace because it grew tired of protecting of our democracy, it succumbed to increasing financial pressure and failed to adapt. There is money to be made in opinion journalism because we, the public, are demanding it. So we must instead demand that news sources provide news, not spin or the political talking points du jour. If that means stop watching MSNBC and Fox News, we must do that too – I once managed to motivate myself without staring at Glenn Beck’s curvaceous bod, I can do it again. 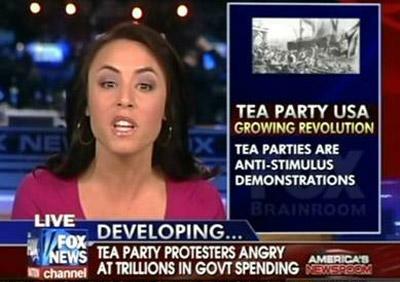 Fox News created the tea party movement. That isn't news reporting, it's news-making. That is not what media outlets do. Even if we cannot sway the national media, we are not powerless to turn back this ugly tide. We can’t pick the refs, but we can pick the players. Believe it or not, it’s already another election year. Many primaries are just next month, and in November many of us will be able to elect a new U.S. Senator and Representative. So let me be the first this year to say, “please vote.” As an official DC resident, I essentially no longer can. It’s one of the many things I miss that I was able to do in college. A version of this post appeared in The Chronicle at Duke University. Posted by Jamie Friedland in Election, Politics. There are times when we are reminded that even a single, small election can matter. No, this isn’t about Scott Brown. I am speaking of the Texas State Board of Education (SBOE). How many of you vote in your state’s BOE elections? Do you even remember? If it wasn’t on the straight party ticket I certainly didn’t. But these elections can have sweeping consequences, especially in Texas. I have written previously of Don McLeroy, the dentist on the Texas SBOE who last year decided he was more qualified to determine the science curriculum than the National Academy of Sciences. Specifically about creationism. Each year, the Texas SBOE reviews and rewrites that state’s public school curriculum standards for one subject, and this year is History. Before we move any further, it is important to highlight the significance of these decisions and the broader implications of the public school curriculum in Texas. With 4.7 million public school students, Texas is the second largest domestic market for textbooks. Because the largest, California, is so specific, Texas essentially determines what is or isn’t included in textbooks for the rest of the country. While publishers offer the decidedly weak defense that “It’s not a given that Texas’ curriculum translates into other states,” Professor James Kracht of Texas A&M, who has long been involved in the state’s textbook process, explains that “Texas governs 46 or 47 states.” So a perversion of Texas’ curriculum is a national problem. This situation is not lost on the members of the Texas SBOE. In fact, for many, it’s the entire reason they’re there. 7 of the 15 members operate openly as a Christian conservative voting bloc and are quite frank about their objectives. This causes some tension with the rational world. 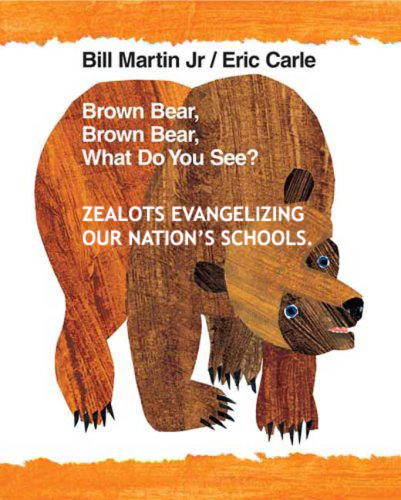 Many of you may remember the beloved children’s book “Brown Bear, Brown Bear, What Do You See?” Its author, Bill Martin Jr., was recently removed from the Texas 3rd grade social studies curriculum on account of un-American “critiques of capitalism and the American system.” The board members were concerned about a 2008 book entitled “Ethical Marxism” written by Bill Martin. A different Bill Martin. By the time their mistake was pointed out, the board members had already struck Bill Martin Jr. from the curriculum. This is a benign example of what happens when non-expert ideologues are allowed to decide what our kids should and shouldn’t learn. The latest victim of McCarthyism. In textbooks for children no less. Don McLeroy has long led this misguided charge, but he is not at all alone. With such strong beliefs about education, it is not surprising to find Dunbar on a SBOE; indeed, concerned parents have every right to voice concern about their children’s education and even to get involved if they so choose. But Dunbar does not have children in the Texas public school system. She wrote in her book about “the inappropriateness of a state-created, taxpayer-supported school system” and compared sending kids to public schools to “throwing them into the enemy’s flames, even as the children of Israel threw their children to Moloch.” All of her kids were home-schooled or attended private Christian schools. She is on the SBOE purely to indoctrinate America’s youth. Fortunately, these abuses have not gone unnoticed. Campaigns are in full swing ahead of the March 3rd election for these important positions, and Don McLeroy and his social conservative bloc have serious challengers running against them. But stakeholders on both sides of the aisle are mobilizing their supporters; conservatives only need to pick up one more reliable vote to gain complete control of the Board. Conservatives are typically much more active in small mid-term elections (which is how we found ourselves in this predicament to begin with), but rational people are fed up with these 7 zealots in unfortunate positions of outsized power. It is time to end this perversion of our nation’s public education, and on March 3rd, Texans will have their chance to do it. Campaigning and governing are two very different things. The obviousness of that statement is a serious problem. Yesterday’s “surprising” special election in Massachusetts is a case study in why the separation between these two processes is detrimental to our country. State Attorney General Martha Coakley was a terrible campaigner. Gaffes drive election coverage, and her short campaign had media outlets drooling. But is she any less fit to govern now than she was when she clinched the Democratic nomination? No. Massachusetts is fairly considered a Democratic state. Currently, voters have elected Democrats into every state executive office, 89.5% of its state legislature and, until Senator-elect Scott Brown is sworn in, 100% of its congressional representatives. It is safe to say that a majority of Bay Staters embraces the Democratic policy agenda. The first poll after the primaries showed Coakley 15 points ahead of Brown. Eleven days later, the final poll showed Coakley 9 points behind Brown. Yesterday, she lost by 5 points. Polls are inaccurate, but during those two weeks a significant portion of voters changed their minds, either about the candidates or about their decision to vote. In a democratic republic, citizens elect representatives to legislate on their behalf. It is clearly within a person’s interest to vote for someone who shares his or her policy perspective. So congressional elections should be about policy, the laws each candidate will support. Unfortunately, campaigns have lost sight of this because we, the voters, have let them. The media enable and cultivate this electoral perversion. The Coakley-Brown campaign was largely devoid of policy. Yes, Brown was going to (and now will) vote to block healthcare reform. What will he do after that? He ran a campaign ad featuring his truck. Not one of Coakley’s “gaffes” was policy-related. Some might point to her Afghanistan comment, but that was a defensible opinion. All we heard about in the news was an admittedly egregious typo of her state’s name. Not a word about what she would do as a senator. We as a country neglect policy in campaigns. Since 2004, it is political suicide to reverse a policy position, even in the face of new, better information; “flip-flopper” is a politician’s death knell. Brown actually did successfully flip his stance on climate to pander to Tea Partiers, but that was before the primaries, and this election was not about climate change. None of the drastic poll movement over the last two weeks can be attributed to policy positions because they didn’t change. So what did? And can it possibly be more important than policy? “Reducing carbon dioxide emission in Massachusetts has long been a priority of mine” -Scott Brown in 2008, after voting for RGGI, the regional cap and trade system among Northeastern power plants. “It’s interesting. I think the globe is always heating and cooling. It’s a natural way of ebb and flow.” – Scott Brown in 2010, pandering to the ignorance of the extreme right. Campaigns have become a sport of their own. Candidates are being evaluated on a scale separate from how well they would govern. It’s like drafting a basketball player based not on his skill but rather on how many people would want to come to see him. Sarah Palin comes to mind. President Obama does too, but he can dribble and shoot. Still, campaign prowess and governing ability are not inherently correlated, and we cannot continue conflating the two. Scott Brown definitively won his campaign. Or rather, Martha Coakley definitively lost hers. But I challenge the notion that Senator Brown will represent the majority opinion of the state of Massachusetts. And if that’s true, the system is flawed. So what to do? If most of the state’s registered voters had turned out last night, the state would be more accurately represented. Perhaps voting should be mandatory, an official civic duty instead of a “freedom” to be celebrated and then apathetically shirked on election day. A Massachusetts election official projected last night’s “explosive” turnout to be in the 40% range. It is hypocritical for us to hold up our democracy as the model government while recording unremarkable if not weak voter turnout on an international scale (check out this website for some interesting international election statistics). Yet unless people take much more time to educate themselves about the issues, mandatory voting would be no solution. At least today’s voters care, even if some opinions are based on the distortions of demagogues. If elections are truly about selecting the best people to govern, I propose we completely remove the pageantry from the campaign process. Congressional representatives, unlike presidents, have essentially one task: creating legislation. So we should vote for person who will enact the policies we support most. Therefore, let every candidate write down his or her ideal prescriptions for each major policy area. Compare and contrast the answers. Publish and widely circulate that document. Then let us choose the best person for the job. Who cares what kind of car they drive? What does it matter which sports teams they support? These are unnecessary distractions. Let the media provide the electorate with enough information to pick an effective legislator and then go report real current events. Surely there’s a little boy in a balloon somewhere. We should vote for the right reasons. And we should all vote. It’s debate season, folks, and my oh my has it been underwhelming. Many have complained that the debates have lacked substance; the candidates aren’t answering the questions. Personally, I am disappointed that the debates have lacked entertainment. No gaffes, no real arguments, few jokes or memorable lines…do they really expect us to stay focused through two hours of interlocking stump speeches? But every once in a while, the moderator asks a question for which a canned response is not prepared. The candidates deftly pivot away from most of these situations (some more overtly than others), but you can still learn from their answers if you’re paying attention. On Tuesday night, Tom Brokaw asked the presidential hopefuls (makes the race seem predestined, doesn’t it?) whom they would pick to be Secretary of the Treasury. Senator John McCain seemed annoyed to be knocked off script, retorting with a grumpy “Not you, Tom” while he scrambled for an answer. Still fumbling, McCain stalled by laying out his qualifications for a good treasury secretary: “I think the first criteria, Tom, would have to be somebody who immediately Americans identify with (video).” Really? That’s your first priority in selecting the person to navigate our country through an economic crisis of this (or any) magnitude? John – can I call you John? – I don’t want to be able to identify with the Secretary of the Treasury. On any level. This person should be so far out of my league I can’t even hold an intelligible conversation with him. I don’t understand the economy. Sure, I took my macro- and microeconomics. I even turned some decent grades. But does my winning personality qualify me to rescue our financial systems? Hell no. Pick someone who has the skill set and experience to get us out of this mess! You shouldn't look at the Secretary of the Treasury (or the President) and think "man, I want to have a beer with that guy." The Secretary of the Treasury should look more like this...but, you know, be good at his job. My friends, that Senator McCain would fall back on this line (and put it in practice with his vice presidential nomination) is symptomatic of a real problem in our country today. Why do we so desperately want to elect leaders with whom we can identify? The fact that I didn’t end the previous sentence with the preposition basically disqualifies me from running for office. Senator Barack Obama is an academically accomplished man. After graduating from Columbia University he went on to earn a law degree from Harvard. He was even the president of the Harvard Law Review – I don’t know how to put this, but that’s kind of a big deal. After that he became a law professor at the University of Chicago. You may have known this, but you certainly didn’t hear it from Barack. Elitism is a strange charge to level against presidential candidates. At the risk of quoting Jon Stewart too much: “Doesn’t ‘elite’ mean good?…I want someone who’s embarrassingly superior to me.” (Video– the entire segment is great, but the elitism bit starts at 6:50). On a tangentially related but similarly awesome note, I present the following question courtesy of Kathleen Reardon at the Huffington Post: “Is it sexist to want the person flying the plane to be a pilot?” Back on track, though, presidential candidates are running to be the most powerful person in the world. Being President of the United States is like being the CEO of a global superpower (this may not be true by the time you read this, but that’s another story). Can you imagine someone hiding her educational credentials while applying to lead a Fortune-500 company? No. And she wouldn’t even get a moment’s consideration without them, even if you’d want to have a beer with her. So why are we so comfortable electing “normal” people president? The average American is not qualified to lead the country. This should not be debatable (although with enough preparation, one could childishly pivot to talk about job creation instead). Nor is it contrary to the American Dream. There are plenty of successful people who don’t live in the White House and unsuccessful ones who do. Being able to pull yourself up by your bootstraps does not mean that anyone can be president, regardless of what your mother may have told you. I wanted to be a lion. Life’s not fair. 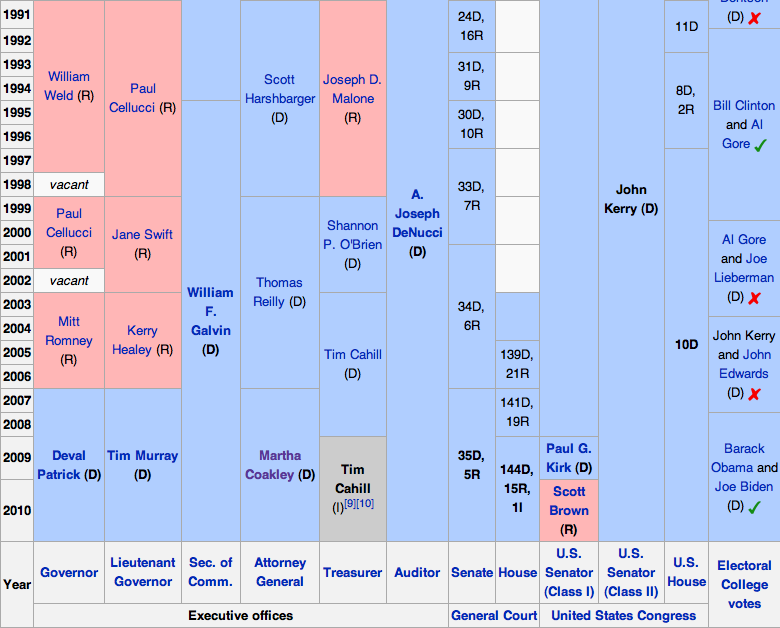 Compare Bush (or Sarah Palin) to the early presidents in our nation’s history. Picture them having a conversation. It hurts. I doubt Thomas Jefferson would think highly of our recent selections. Now I’m not saying that the founding fathers got everything right – for example, I imagine they might be surprised to learn that a black man is now running for more than 3/5 of the presidency. But they understood the value of a meritocracy. Or at least that it takes more than an ordinary person to succeed in a decidedly extraordinary position. Let Average Joe enjoy his 6-pack. I’ll drink with him (although the case is my weapon of choice). Our president should wash down his arugula with a glass of fine wine.